The Kurds in Syria have been under fierce assault from ISIS since 2 July but very little of what has been unfolding has been reported in the mainstream media and few if any comments have been made by British, European or American political leaders. As the casualties start to mount, it is time that the world took note before a new tragedy in the Middle East emerges. Only a few weeks ago the world’s media was intently focused on the shock victory of ISIS in the city of Mosul in Iraq and reporting that the jihadi fighters were poised for an assault on the Iraqi capital Baghdad; but it seems clear that, having acquired a new supply of weapons after it overran Mosul, ISIS has shifted its operations to the Kobane canton of Rojava, which is under the popular democratic control of Kurds and their allies. Heavy casualties have been reported as fierce fighting has continued for what is now approaching two weeks. During that time the world has turned a blind eye and remained utterly silent. This inaction amounts to complicity in a mendacious manoeuvre to snuff out the fledgling democratic experiment in Rojava. Furthermore, it is not insignificant that ISIS began its current attacks on Kobane to the west of the canton at the Turkish border only to spread its actions south to the border with Raqqa and then east to Tel Abyad, which is also on the border with Turkey. The Kurds have repeatedly warned that ISIS fighters are allowed open access to cross the Turkish border and also that their wounded fighters are regularly transported back to Turkey for medical treatment. Kurdish organisations have accused the Turkish state of more or less openly supporting ISIS or at least of seeking to cynically use it with the aim of undermining the Kurds in Rojava whose autonomous rule Turkey perceives as more of a serious threat than ISIS. An urgent appeal has been made to the international community to take measures to ensure that the siege of Rojava is brought to an end and that Turkey, a NATO member, ceases its support for ISIS, which of course is deemed to be a terrorist organisation by Ankara’s allies in the European Union and the United States. Since the start of the Syrian conflict the Kurds in the Rojava region had remained aloof, refusing to be drawn into a conflict that is not of their making and from which they had little to gain. As a result the Kurds have incurred the wrath of both the Syrian rebel groups, which have been progressively dominated by Islamists, and the Assad regime in Damascus. The alternative offered by Rojava of a devolved autonomy embracing all the diverse communities should be recognised as a realistic way forward out of the crisis in Syria. Kobane, the region currently under threat from ISIS, consists of about 100 villages and some 90 percent of the population is Kurdish. It is a symbol of Kurdish resistance as it is the place where the Rojava initiative began when on 19 July 2012, the people succeeded in forcing Assad’s army units to abandon their positions allowing the region to fall under Kurdish control. The Kobane Canton is the smallest of the three cantons that make up Rojava along with Afrin, and Cezire (Jazira). The people of Rojava have recently adopted their own ‘social contract’ or constitution whereby all the communities pledged to work together for the common good. The Kurds and others are seeking to establish a popular democratic rule that is pluralistic and inclusive of all the communities in the region and including the participation of women on a free and equal basis. The future of the people of Rojava, the Kurds, Arabs, Alevi and Christians, who have combined their resources to defend their land, looks distinctly bleak if the region were to fall to ISIS. The threat of a new massacre is becoming a real possibility and the danger is increasing by the day. A victory for ISIS in Rojava would embolden the organisation and inspire it to pursue its deadly objectives elsewhere in the region; the Middle East would be considerably less safe and far more unstable. The fall of Rojava simply must not be permitted to happen. Peace in Kurdistan Campaign recognises the Kurdish people of Rojava’s right of collective self-defence as determined by international law. Their autonomous administration under a pluralist and decentralised system of democratic autonomy should also be supported by governments and non-governmental organisations alike in acknowledgement of the Kurdish peoples’ right to determine their own future, free of foreign occupation or dictate. The acute danger of ISIS at this moment rests not only in the violence it is perpetrating on Rojava but in its threat to impose autocratic rule irrespective of popular mandate or the wishes of the people, quite the opposite of the current administration in Rojava. 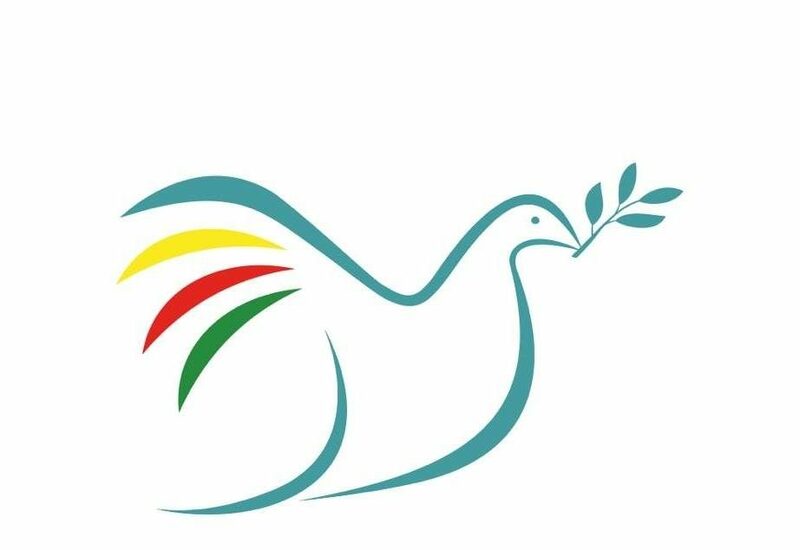 Peace in Kurdistan Campaign also believes that that the borders between Rojava, Turkey and Iraq must remain open and secure for the free and safe passage of medical equipment, food and other aid, as well as of refugees and internally displaced people. International aid organisations must also be granted safe route into Rojava to provide essential humanitarian aid. Finally, the Kurdish Initiative for a Democratic Syria, published last May by the Rojava administration, is a full and comprehensive proposal for a political resolution for the whole of Syria and is the only major peace plan offered by any party to the conflict this year. It is imperative that the international community embrace these proposals, as they offer genuine recommendations for peace in a moment when it is needed most.
. The proposal can be viewed in full here.